HANOI - It had been dubbed a brilliant move in a grand game of diplomatic chess: North Korean leader Kim Jong Un had booked the same hotel being used by the White House press corps during his meeting with US President Donald Trump in Vietnam this week. South Korean media and experts hailed it as a "heroic" and "deliberate strategy" for Kim to reveal more of himself to the American press. "By exposing his every move to American cameras, Kim Jong Un may be signalling that he is determined to send a strong message about his will to improve ties with the United States," Cheong Seong-chang, a North Korea expert at the Sejong Institute, said before Kim arrived. But minutes after Kim arrived at a Vietnamese border station on Tuesday, the Vietnamese foreign ministry announced the Melia Hanoi Hotel, where Kim Jong Un is staying, would no longer host the press center for hundreds of visiting American journalists assigned to cover his second summit with Trump. With less than 24 hours notice, the White House press pool was instead relocated to a shared working space set up for visiting journalists at the Viet Xo Friendship Cultural Labor Palace, a giant Soviet-era edifice a few blocks from the Melia. It was not clear what happened to the journalists who had booked to stay in the Melia. Reporters and other guests at the hotel Kim stayed in during his first summit with Trump in Singapore last year were herded back and ordered to pocket phones and cameras when Kim moved through the hotel. Some guests who took photographs of the leader had them deleted. Kim and Trump will meet in the Vietnamese capital on Wednesday and Thursday where they will try to reach an agreement on a North Korean pledge to give up its nuclear weapons program. 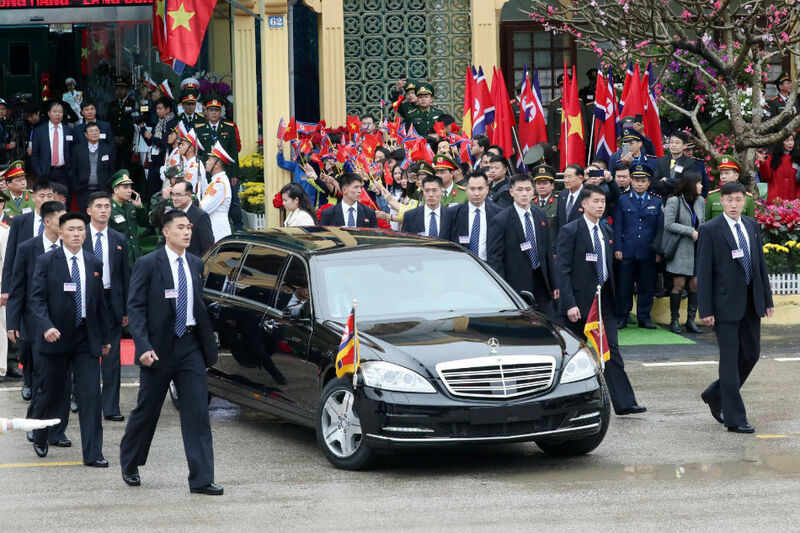 The Melia had widely been expected to host Kim during his stay in Hanoi. Sources told Reuters last week the North Korean leader would stay there, and Kim's foreign minister, Ri Yong Ho, based himself in the hotel during a visit to Vietnam in November last year. Kim's close aide Kim Chang Son, who arrived in Hanoi several days ahead of the North Korean leader, also inspected the hotel. On Monday, a member of staff at the hotel told Reuters the White House press center had been set up on the third floor. One floor below, an entire ballroom had been reserved for the North Korean delegation, according to a sign outside the space. Despite these signs, and as governments and media organizations scrambled for Hanoi hotel space ahead of the meeting between the two leaders, the Melia was still considered as a location for White House press - until Kim set foot off his train. A Reuters reporter was evicted from the Melia hotel lobby before Kim arrived. "It was hard to understand in the first place," said Cheong, the North Korea expert, speaking after Kim arrived at the hotel. "No wonder I couldn't make sense of it."